Christmas is over! All the scurrying and preparations are over and I can now re-focus on all things Outlander! Yay! I hope those of you who celebrated Christmas had a wonderful holiday! I certainly did! I ate too much and now need my stretchy pants! The first of the year will bring many new things for the blog plus a diet for me. Fun on the former; not so much fun on the latter! However, I refuse to think about diet until the first of the year so, for now, let’s jump back to the subject of this post. I get daily emails from “This Day in North Carolina History”. This morning’s email included an article about explorer John Lawson who on December 28, 1700, began his journey to the backcountry of North Carolina. He started out from Charleston, South Carolina with five Englishmen and several Indian guides and crossed over into what is now North Carolina (near the present-day Charlotte area) in late January, 1701. As he traveled through the Carolina backcountry, he journaled and recorded his observations in what became his book, “A New Voyage to Carolina“, which was published in 1709. It is also known by the titles of “The History of Carolina” and “Lawson’s History of Carolina“. The email made me think about the book Jamie had with him and referred to in Drums of Autumn but I couldn’t remember the specifics. Since inquiring minds have to know, I pulled out my trusty Kindle and searched “History of Carolina”, remembering vaguely that Jamie had told Claire the name of the book he was reading. Sure enough, the search garnered three results but it wasn’t at all what I expected – which sent me on another research expedition. Here are my findings. The book mentioned in Drums of Autumn by Jamie is “The Natural History of North Carolina” and the author named in the book is Bricknell. He held a book in his hand, thumb between the pages to hold his place, and now bent his head to consult the volume. The figure on the stake seemed to tremble briefly, as something bumped it from below, and Ian made a small choking noise beside me. “Where did you get that book?” I asked, not taking my eyes off the stake. The top of the wooden pole was vibrating, as though something under the waves was worrying at it. Then the pole was still, and the V-shaped wake could be seen again, traveling back toward the riverbank. I turned away before it could emerge. Jamie handed me the book, his eyes still fixed on the black mudflat and its cloud of screeching birds. I glanced down at the book. Bound in plain buckram, the title was stamped on the spine in gold leaf—The Natural History of North Carolina. At the moment, he possessed one book—The Natural History of North Carolina, published 1733, brought along as guide and reference. “Mmphm.” Jamie reached out a hand and patted absently around on the table, searching for the bread plate. His attention was wholly focused on the book he was reading, Bricknell’s Natural History of North Carolina. “Here it is,” he said. “I knew I’d seen a bit about rattlesnakes.” Locating the bread by feel, he took a piece and used it to scoop a healthy portion of egg into his mouth. Having engulfed this, he read aloud, holding the book in one hand while groping over the tabletop with the other. Well, that’s quite odd I said to myself. Maybe there were two explorers who wrote two similar books. We all know Diana does her research! So, I googled Bricknell’s “The Natural History of North Carolina” and found a book by that title by one John Brickell, M.D. who was a native of Ireland. He explored and lived in North Carolina beginning in 1724 through at least 1731 and practiced medicine in Edenton, North Carolina (another Outlander location) from about 1730 to 1731. His book was published in Dublin in 1737 after his return to Ireland. So, you say, what’s the big deal with John Brickell? Well, it is widely acknowledged by most history buffs that close to 85 percent of his book “The Natural History of North Carolina” was plagiarized from John Lawson’s “A New Voyage to Carolina”. In fact, whole sections of Lawson’s book were lifted out and copied word for word by Brickell. So, if Diana’s Bricknell is history’s own real-life Brickell, the words Jamie was reading and the information he was gleaning were actually from John Lawson who started his exploration of the North Carolina backcountry exactly 317 years ago today! 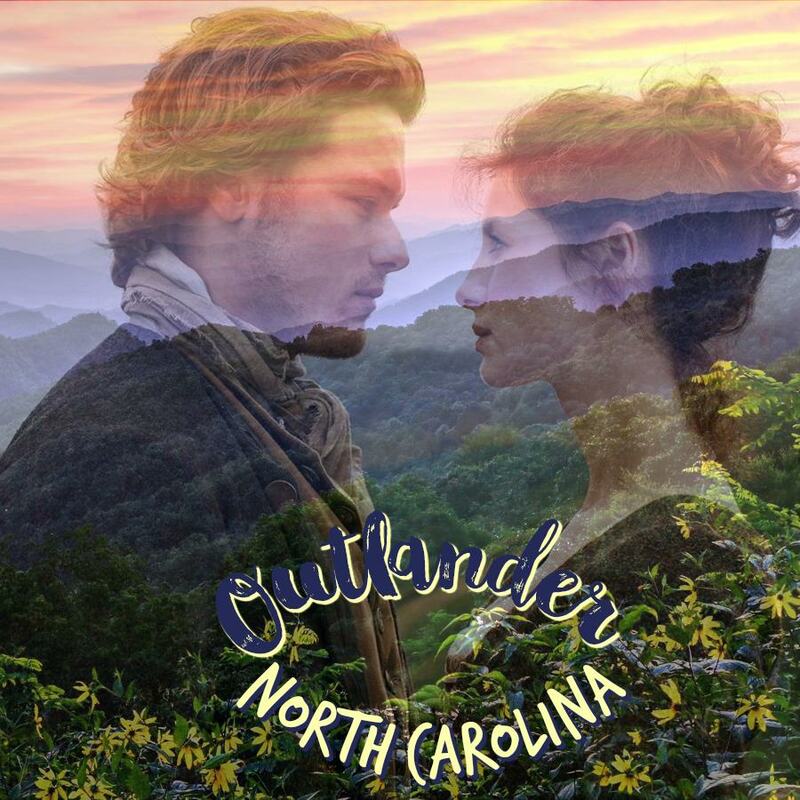 I hope you’ve enjoyed this quick lesson from Today in Outlander North Carolina history. What do you think? Could the real life Brickell be the inspiration for Diana’s Bricknell? I vote yes! For more information on John Lawson and John Brickell, click on the links below and, as always, thank you for reading Outlander North Carolina! In an interview in July 2016, Diana talked about the writing process. She called it the art of cannibalism. She said writers take a little of this and that from other writers, books, tv shows add imagination and inspiration, stir and vola! Your new story. Everyone borrows from everything everywhere. Hard to have an original idea with all the history that has gone on before us. Hense 2 similar books on North Carolina in the 1700s. I am writing an historical fiction novel, that most likely will never be published but like Diana seeing if I can do it. Certainly not on par with you Beth. I love the humour you interject in your writing. Wish I had that ability. Keep up the great work. I’ve been so busy with Christmas and the New Year that I’m just now reading your thoughtful and kind comment, Pat. I keep saying I’m going to start a novel but it seems life gets in the way. I would never intend on anyone ever seeing it other than myself – that would be horrifying! Keep writing, Pat, and if you ever want someone to read it, I’d love to! Happy New Year!